The strip where members of my family were Sunday night. Every morning of my life starts with bleary-eyed scrolling through overnight alerts and early morning newsletters. Natural disasters, political duels, market dives, death — all before a cup of coffee — are your life when you work in journalism. You become numb to reality’s harshness. I was numb this time, too, but the dreadful kind, the hold-your-breath, color-draining-from-the-face, heart-racing numbness that chokes you. What were the chances our cousins Nick and Anthony Robone were at that concert, at that exact spot on the huge Vegas strip, at that exact moment the shooting happened? Reality came crashing harshly Monday morning. They were there. The phone call was to say 28-year-old Nick, an assistant UNLV hockey coach, had been shot. No other details, except that maybe it was in the arm. My mom’s cousin, Donna Robone, moved to Nevada 30 years ago, got married and had two boys, Nick and Anthony. We grew up nearly a country apart, but stayed close through visits, phone calls, and now Facebook and Instagram. My mom had been up all night with insomnia, but the call confirmed what she had felt in her bones for hours — that something wasn’t right. She had spoken to Donna just hours earlier on Sunday night; Donna had called to wish her a happy birthday and mentioned the boys were going out. So we waited helplessly a country away. By 7 a.m., his parents posted on Facebook that Nick was shot in the chest and in surgery. They asked for prayers. The post said his brother, Anthony, a Henderson Fire Department paramedic, had dragged him to safety and into an ambulance and also helped other victims. Our hearts fell when we saw Nick was hit in the chest, not the arm. We posted our well wishes and I kept refreshing the thread, hoping the comments would bring more info. I can rattle off a dozen shootings I’ve covered at work and how we update the stories as news develops, but I had no idea how to process the story of a family member being one of those shot. Do you keep texting them when they are sitting just as anxiously in a hospital waiting room? Do you hop on a flight and be out of touch for 8-plus hours? Is there some way to find out whether he was actually being operated on or was waiting on a stretcher while the hospital handled hundreds of other injuries? How is hero Anthony holding up? We huddled on my parents’ bed asking these questions over and over. And we prayed so hard that my mom’s aunt, 87-year-old Aunt Mae, who also lives in Nevada, might be fast asleep in the middle of the night unaware that her grandson was in surgery. By 10 a.m., we got a text that Nick was out of surgery. The bullet barely missed his lung, but they were able to remove it and most of its fragments. His lung was badly bruised, though, so he’ll be in intensive care for a while. Las Vegas gets 41 million visitors a year, 632,912 people live there, and 30,000 go to this annual Harvest Festival concert. So how did my family member end up shot by a 64-year-old white guy with no known societal gripes in the deadliest shooting in U.S. history? This is America now. It’s an America where, when a shooting erupts, we sigh, “Where now?” An America where young and old have to question going to concerts, sporting events, nightclubs and restaurants for fear something terrible will happen. An America where I had to take my hair clip out to get searched by the Transportation Security Administration before a flight last week, but where it appears that a man effortlessly got ammunition and at least 19 weapons into a Las Vegas hotel room. And it’s an America where in two-and-a-half years I’ve been tormented twice in trying to find words after someone young and healthy fairly close to me was shot. Two years ago, I was at the New York version of this Harvest Festival. I stood with my friends in the same kind of crowd that Nick was in, watching country bands perform on a beautiful night. Except there were no buildings looming above us from which to shoot an AK-47, and we all went home safely and got to work the next morning. 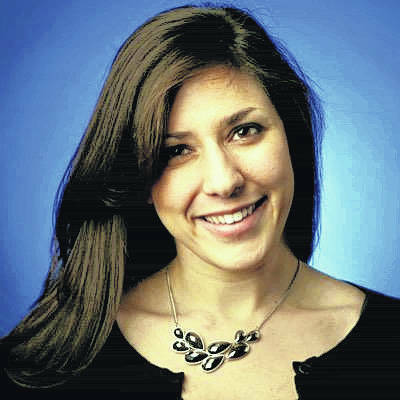 Amanda Fiscina is the research and digital production manager for Newsday Opinion. Readers may send her email at amanda.fiscina@newsday.com.